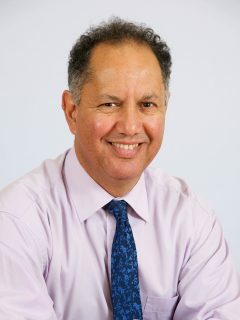 Born in Mauritius, Dr Peter Benett moved to the UK in 1965. He went to Manchester University Medical School where he qualified in 1982. Hospital posts in Manchester, Preston and Leeds followed before he decided to take up a GP trainee post in Preston. In 1989 he joined Clifton Practice in St Annes where he was a GP principal until 2015. Recognising that clinician involvement would be essential for the cost-effective and seamless design of clinical pathways, Peter joined the then Fylde and Wyre Practice Based Commissioning Group. This group evolved into NHS Fylde and Wyre Clinical Commissioning Group where Peter sits as a Governing Body member and clinical lead for long-term conditions. Peter provides clinical input into new models of care and multi-specialty community provider development, including the self-care and prevention strategy. He is involved with the Fylde and Wyre health and wellbeing partnership, as well as the healthy new town development at Whyndyke Garden Village and the technology test bed. Peter gained a Diploma in Cardiology from Bradford University in 2007.